A black ooey gooey sauce noodles served with bean sprouts, ngoh hiang slices, fish & chicken chunks. Black vinegar is added for the extra kick to the thick sauce. I think this might be the last few stalls there I’m gonna feature that is good and value for money. There are 3 more which I will attempt to try when I’m back in Singapore in June. 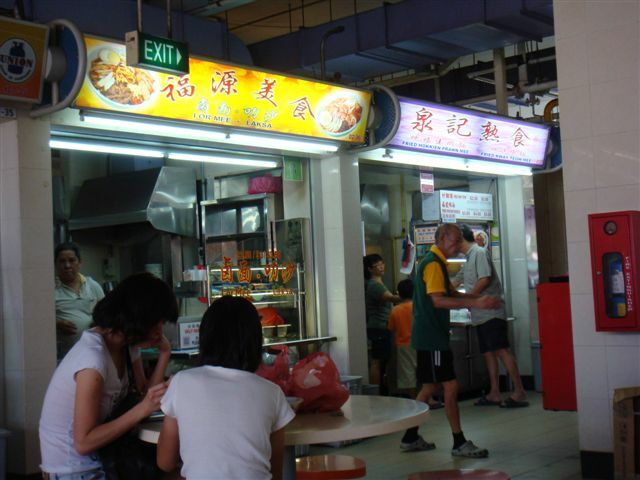 One is the Nasi Lemak stall and the other is the Western Food stall. However this Lor Mee stall is worth mentioning. 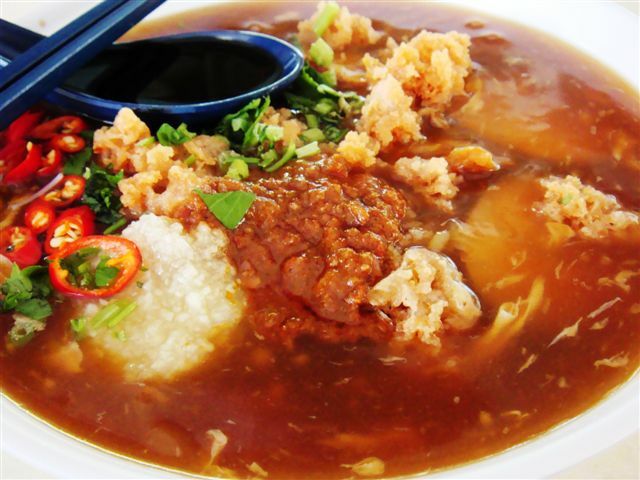 For $3.50, it's a big bowl and check out the ingredients of lor bak, fish cake, bean sprouts, egg and ngoh hiang. Taste: Nice for me. Love it with loads of black vinegar and freshly chopped garlic… don’t talk to anyone upclose after that… you might kill them. Price: $3.50… I wonder how big the bowl for $4.50… hmmm…. Location: Block 105 Hougang Avenue 1. #02-36. I’ve been eating this Lor Mee for the longest time so I’ve decided to try it again recently to see if the standard dropped or not. As usual, the whole coffeeshop is managed by foreign talents from where my ancestors came from. Coffeeshop’s stalls are all under the same owner now cos all were wearing the same uniform… nevertheless I ordered my Lor Mee from the noodles stall. Taste: Used to have that herbal after taste but now very mild only. But overall still very tasty.